ALCHEME - SKIN MAGIC SprayMist 100ml. - Everyone needs some Magic in their lives! Use anytime any where..
An 'Any time - Any Place' skin restorer spray mist. Can be used over make-up or au nature'. 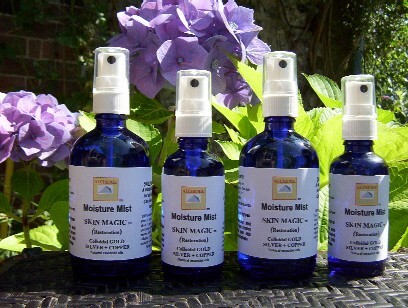 Contains Ultrafine Colloidal GOLD, SILVER and COPPER with pure organic essential oils. 100% natural and organic.